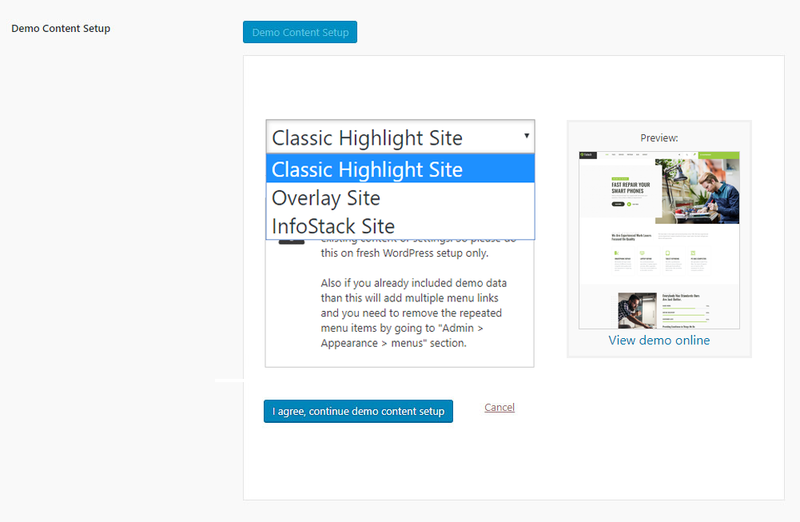 Note: Please make sure you install the ThemeTechMount Extras for Fixtech Theme plugin as this plugin is required to setup demo content. 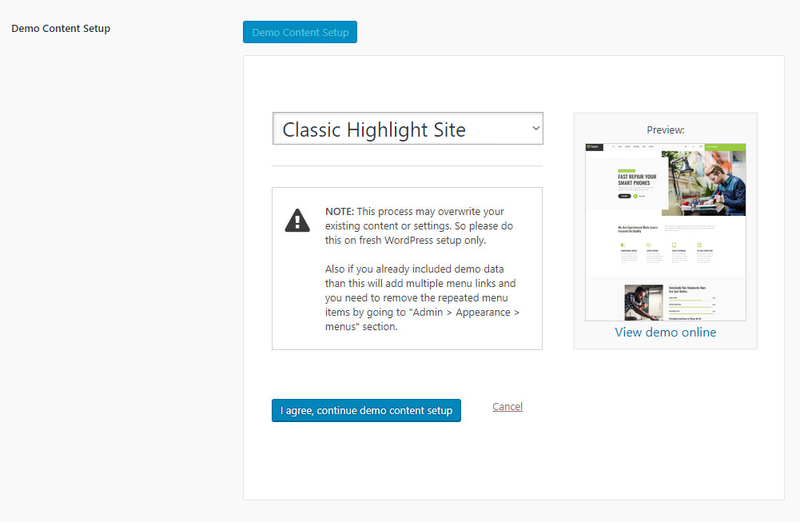 Click here to know more about how to install this plugin. 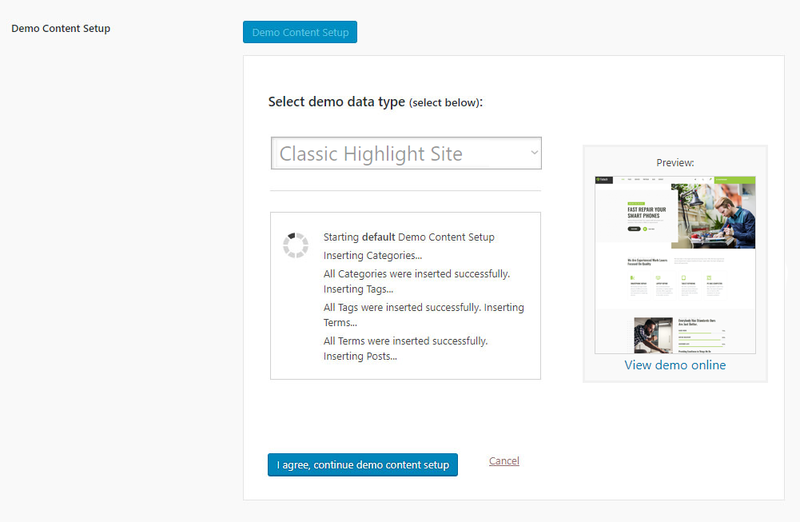 Demo Content installation is super-easy with Fixtech Theme. 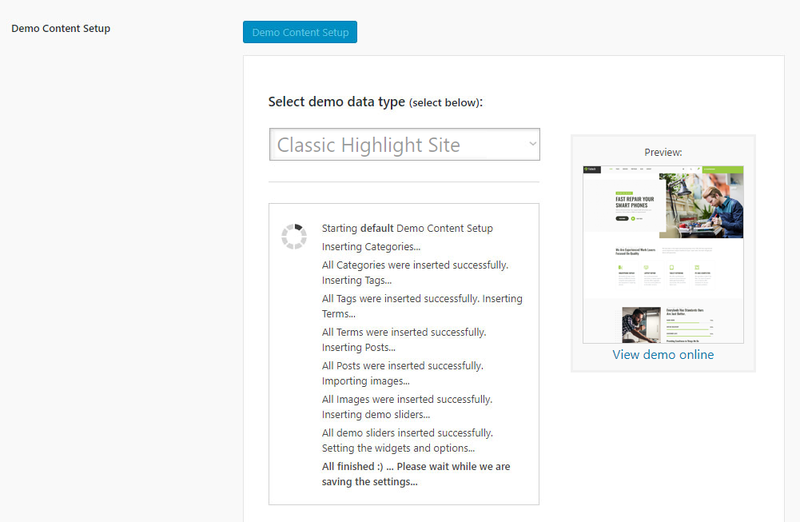 We have developed one click demo content setup process using plugin so your site will become same as our demo site in just some minutes.